As Croatia’s capital is a comparatively large city, there’s plenty of day trips in Zagreb itself (or technically just outside) that you can enjoy…if you’ve exhausted all there is to see and do in the city! These options may well not be considered top of the list by visitors to Zagreb, but all are definitely worth considering as something to do that is ever-so-slightly off the beaten track. If you fancy a cool dip in the height of summer in Zagreb (and we all know the heat in the city can sometimes be a little stifling), then Lake Jarun is where you should head to. 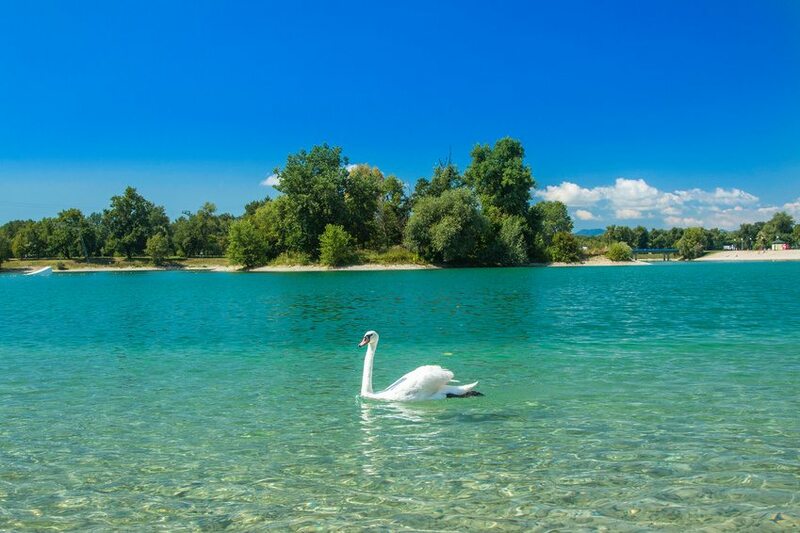 There’s numerous beach areas and whilst the large (artificial) lake is perfect for swimming, there are also other watersport activities such as canoeing or even windsurfing. The surrounding paths also provide opportunities for cycling, rollerblading and jogging – if that’s your kind of thing. Each summer, Lake Jarun also hosts a music festival on its shores – the INmusic Festival. Best of all, it’s very easy to reach Lake Jarun from the centre – tram number 17 (which goes through Ban Jelacic Square) and number 5 operate during the day to Jarun, whilst number 34 operates at night. Take the trams to the “Jarun” stop and then follow the signs for the lake. Mount Medvednica, to the north of the city of Zagreb, is a wonderful place to visit for a bit of nature and to partake in activities such as hiking or cycling. On the mountain, Medvednica Nature Park contains various flora and fauna, as well as local sights. Sljeme is the highest point of the area, at 1,033 metres high. If you’re there during winter, it is possible to ski at Sljeme although in all honesty, it’s nothing to get too excited about – people only really go skiing there to try it out, to practise being the next Janica or Ivica Kostelic, or if they can’t make it across the border to Slovenia (or a little further afield). Some professional ski races and events are sometimes held here, however, such as the annual Snow Queen Trophy, which attracts a large number of spectators each year, meaning it’s a fun event to watch. 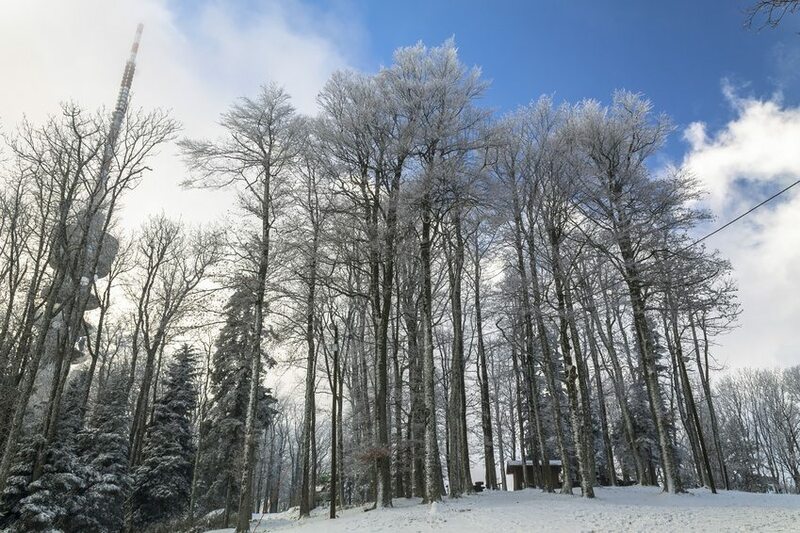 Winters always see quite a bit of snow on Sljeme so – even if you’re not into skiing – it’s a great place to visit to see it in all its wintery delight. But whatever time of year you’re there, it’s a great place to visit for some spectacular views and a good way of getting “out of the city”, which you will find a considerable amount of ‘Zagrepcani’ (the people of Zagreb) doing. It’s possible to hike up to the summit, but more fun (and easier) is the cable car, the route of which is 4km long. Fortress Medvedgrad is situated on the southern slope of Medvednica, and was built as a fortified town following an invasion of the Mongols in 1242. After falling into disrepair over the centuries, it was fully restored during the 1990s as a symbol of patriotism during and after the war. There is also a Shrine of the Homeland monument there, which pays respect to those who died in the war. To get to Mount Medvednica, take tram numbers 8 or 14 northwards to the end of their route; then change for tram number 15 which takes you to Dolje – from here you can walk to the cable car. The park was first opened in 1794, and contains beautiful greenery in its forests and wooded areas, and tranquility in its lakes and streams. There are also many promenades and paths for idle walking, which is certainly something the locals like to do on weekends when there’s pleasant weather. 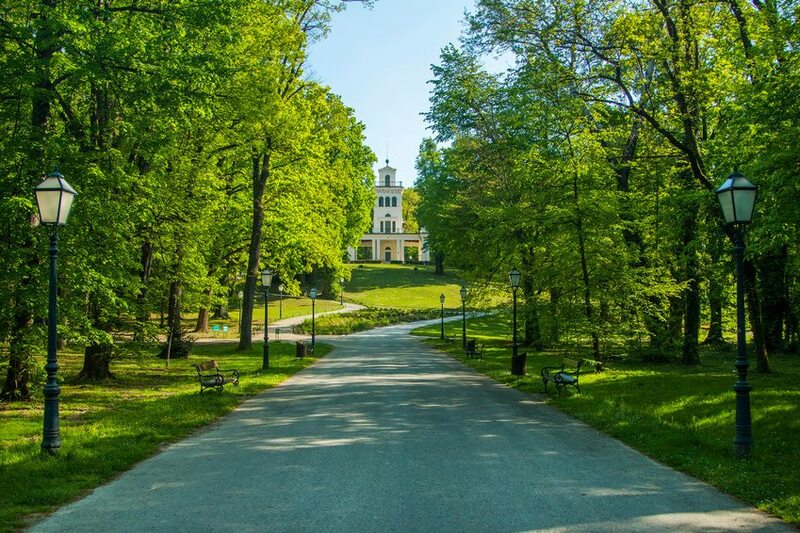 The Park also contains Zagreb Zoo which is home to a surprisingly wide variety of animals, including various bird and fish species as well as crocodiles, leopards, sea lions, bears and a red panda.